A sculpture teacher at the Accademia di Belle Arti of Naples decides to leave on motorcycle from her city to reach, in solitary, Japan. She is Rosaria Iazzetta and in the exclusive interview for GIVI EXPLORER, released the day before her departure, she clarifies the reasons that have pushed her to face such an arduous yet adventurous test. Hello Rosaria and thank you for agreeing to tell us about the aspects of your trip 24 hours before your departure. We can imagine just how much you will need to do in this short space of time! This is a long-distance motorcycle trip from Italy to Japan, from the 27 June to 20 October 2018, crossing 11 countries with the specific aim of encountering communities of women. How is it linked to you and your work as a professor of sculpture at the Accademia Belle Arti di Napoli / The Naples Academy of Fine Arts? I’ll begin with the second part of your question. The connection is linked to my artistic soul. I have always worked in a studio that creates sculptures. What I’m going to create now is a social sculpture, devoid of a specific material to be shaped but still definable as an art project which works with the soul and with the conscience.The idea originates from my previous trip to northern Japan, in the region of Iwate. I was there for the purposes of research and discovered that this region has the highest number of female suicides. A paradox for me: how is it possible that those who bring forth new life into the world then end up taking their own? And why precisely is this phenomenon so widespread here? My trip is dedicated to those women. I consider the physical effort of the journey as a gift to those who struggle silently every day to affirm their dreams and to those women who have been able to carve out a strong role in arts, in politics, in sport and in the various fields of sociology. Why did you choose to travel by motorcycle? Every time I have traveled by plane I’ve always been aware of losing some pieces of the journey and of the overall experience. By airplane you know the departure and arrival points but nothing of the realities that are in between. This project was born with the ambition to bring all these realities together, to reason in terms of comparison, in particular, how a specific social reality is experienced by a woman in a certain place in the world and how similar situations are experienced in neighboring countries. Now back to your question … I saw the motorcycle as the most appropriate means of transport for my purpose. This is an adventurous and not a risk-free journey. What kind of motorcycle experiences have you encountered in the past? I traveled across Europe with a smaller bike, a 250 cc but a distance this long is a totally new experience for me; we are talking about over thirteen thousand kilometers. On paper, the project is well planned; the unknown factors that I could confront along the way are not all foreseeable. I am well aware that I will be facing some risks along the way. The motorcycle chosen for this journey is a Yamaha MT-07. Why did you pick this particular make/model? It is my current bike … I know it well and trust it. Someone told me clearly that it is not really suitable for the type of trip I am undertaking from tomorrow. I know it’s a naked bike and it’s not very high off the ground but I know all its details. And besides, GIVI has equipped it extremely well transforming it into a “traveler”. 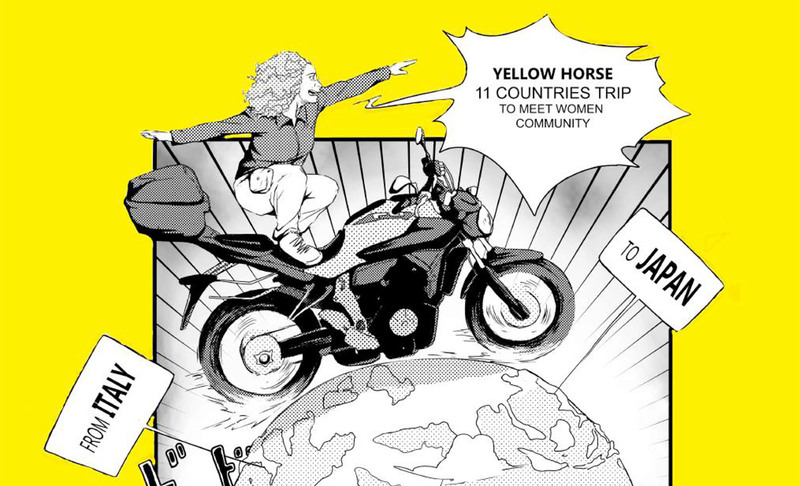 Is the name “Yellow Horse” inspired by the motorcycle? I ask this because I see that the upper structure of your Yamaha is a yellow colour. Yes, partly. The name “Horse” relates to my past experience in the Iwate region of Japan. In ancient times that territory was known for a type of very fast and short-legged horse. As for the “yellow”, you’re right; it’s the same as that of my bike, a shade of bright yellow. What was the greatest difficulty encountered in planning the trip? Well, I would say the harmonization of time and space necessary to complete it … especially with my job. Fortunately, the project was almost immediately supported and financed by the Academy in which I teach. And this allowed me to proceed with it. I had to include a stop of about a month in Serbia where I was invited to collaborate in the construction of a monumental structure. This endeavor, entirely agreed upon with the Academy will help me to bear the costs of the project. How did you choose the itinerary? 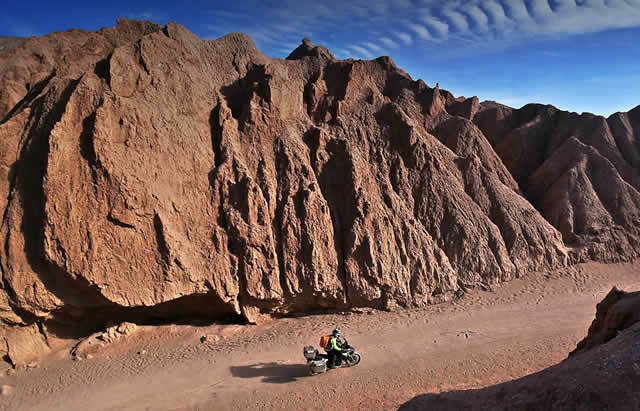 From a riding point of view, were you able to reconcile the choice of less difficult routes with the long calendar of meetings? I know that it will be difficult to cross Kazakhstan and Mongolia but if you have to interview women in communities that are far from densely populated centres, then you have no choice. In order to understand the personal journeys they have made, you must travel to their territories. You have to see with your own eyes, the conditions in which they live. I will be spending more time in some countries than others. In their eyes I have to set an example and portray myself as brave. I cannot back down. Yes, it’s true, I will be traveling alone. Currently support is limited to logistics only. In the event of any technical issues with the bike, Yamaha will provide me with help. Will this project of yours become a documentary, or even a book? At the moment I’m focusing exclusively on the documentary: I believe more in the power of sounds and images than in that of written words. I like the idea of seeing different people belonging to different races saying very similar things using gestures, words and different ways of relating with each other. My hope is that the interviews documented in audio and video format can become a source of inspiration for young female students. At the same time I’m imposing no limits: if I am asked to narrate my experience through a book I will certainly accept the offer without any reservations. 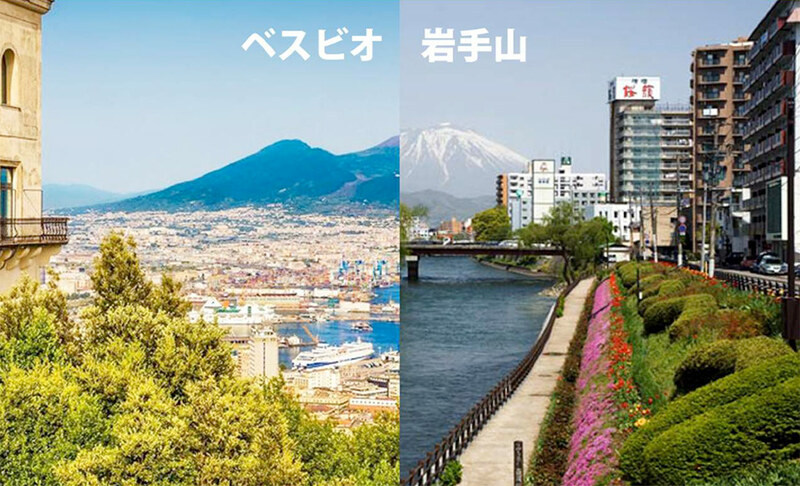 Our Web portal “Explorer” will be documenting your journey by publishing your reports and exclusive photos from your departure right through to your arrival in Japan. These two moments are linked by a sort of twinning. Tomorrow, at the start line, I will have Mt. Vesuvius behind me; upon my arrival in the background I will see Mount Iwate near Morioka. 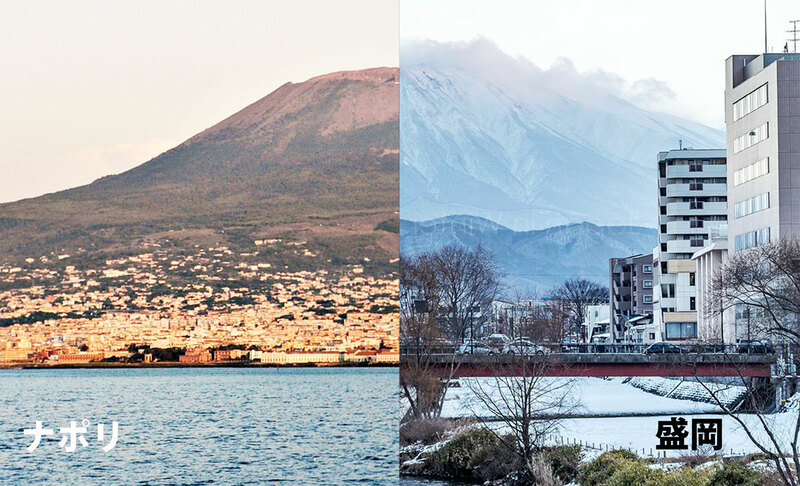 They are two volcanoes with very similar morphology that represent physical continuity. Life preserves many opportunities. This is my chance to leave a trail … and not just with tyres. We support you. Stay strong and be brave!